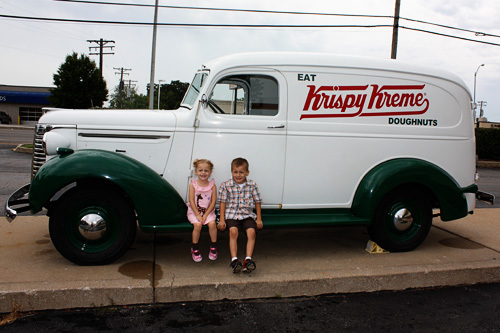 I have heard that if you go inside Krispy Kreme when the ‘Hot Doughnuts’ sign is on, you can score a free doughnut. 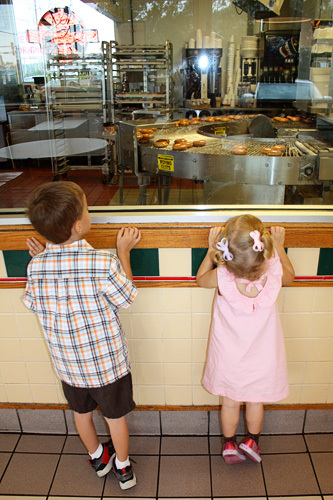 Sadly, I’ve only been through the drive through but I also heard if you go in the kids can watch and see how the doughnuts are made through the glass. 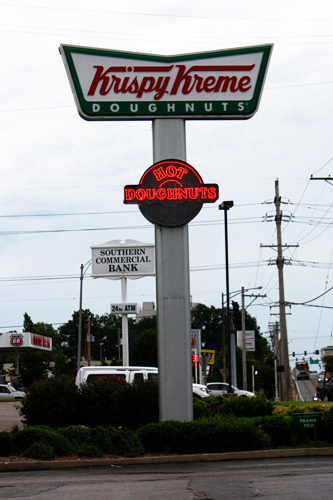 So, today… we saw the ‘Hot Doughnuts’ sign and got out. 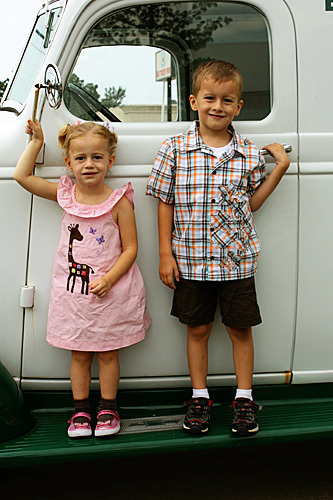 Of course, Nathan couldn’t go inside until I took his picture (and Sissy’s) infront of the doughnut van. We were all WOW’ed by the entire Krispy Kreme doughnut making process, we were handed free doughnuts. Hot doughnuts. YUMMMMMM. And, we all got another doughnut. 2 Krispy Kreme doughnuts. Wow, I am feeling the sugar rushing through my veins.